Jan has a wealth of experience in all aspects of the Real Estate industry. 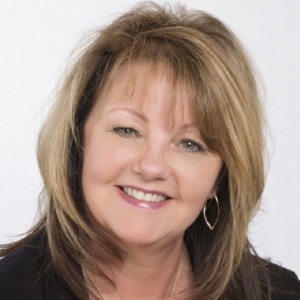 In addition to her 26 years in real estate and lending industry, she has real estate sales and title/escrow experience, providing her with the ability to coordinate your entire transaction with exceptional expertise. Jan works to ensure that every step of the loan process is smooth, uneventful, and that you close your escrow on time. As Production Manager and Transaction Coordinator, Jan is also responsible for working with the entire team to assist in delivering an experience that exceeds our customers’ expectations. Jan works closely with the support staff and Loan Officers here and with our corporate office of American Pacific Mortgage. Jan is dedicated to ensuring that TreeHouse Mortgage Group continues its commitment to excellence for our customers and our referral sources. Away from work, Jan is an avid dancer and certified dance instructor, where she enjoys spending time teaching others her passion. Jan has a wealth of experience in all aspects of the Real Estate industry. In addition to her 26 years in real estate and lending industry, she has real estate sales and title/escrow experience, providing her with the ability to coordinate your entire transaction with exceptional expertise. Jan works to ensure that every step of the loan process is smooth, uneventful, and that you close your escrow on time. As Production Manager and Transaction Coordinator, Jan is also responsible for working with the entire team to assist in delivering an experience that exceeds our customers’ expectations. Jan works closely with the support staff and Loan Officers here and with our corporate office of American Pacific Mortgage. Jan is dedicated to ensuring that TreeHouse Mortgage Group continues its commitment to excellence for our customers and our referral sources. Away from work, Jan is an avid dancer and certified dance instructor, where she enjoys spending time teaching others her passion.